The New England Patriots were fined $1 million and are also losing two draft picks – their first-round draft pick in 2016 and their fourth-round draft pick in 2017. Brady has three days to file an appeal to the suspension. But if it holds, he’ll wind up missing games against the Pittsburgh Steelers, Buffalo Bills, Jacksonville Jaguars and Dallas Cowboys. And in a strange twist of fate, his first eligible game will be against the Indianapolis Colts – the same team he played against with the now-infamous deflated footballs. Many are saying the four-game suspension against Brady is too much, that this is the same punishment a player on drugs is given. But for better or worse, the NFL is working overtime to get back its credibility in the wake of its inept handling of the domestic violence incidents of Ray Rice, Adrian Peterson and others that weren’t as widely reported. It’s also been relatively lax in dealing with teams known for going beyond the rules and bounds of good sportsmanship – think the Patriots and Spygate for one. The Patriots reputation for abiding by the rules isn’t exactly sterling. According to an SI.com report, Vincent sent a letter to the Patriots in which he cited undisclosed evidence from before the start of the 2014 season that suggested this wasn’t the first time the team had knowingly deflated game balls. Vincent also sent a separate letter to Brady that reprimanded his behavior. 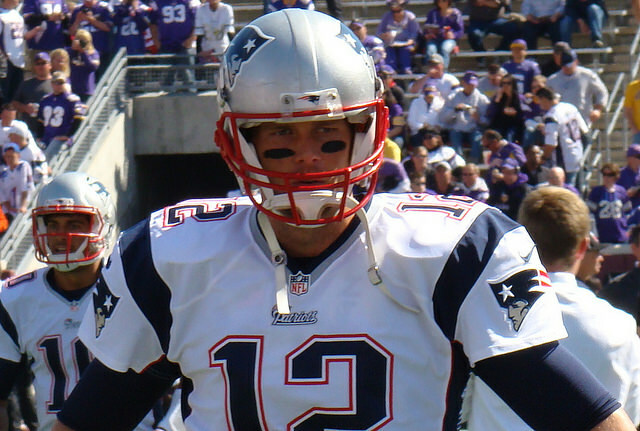 “The [Wells] report established that there is substantial and credible evidence to conclude you were at least generally aware of the actions of the Patriots’ employees involved in the deflation of the footballs and that it was unlikely that their actions were done without your knowledge. Like it or not, we all play a part in this. It’s time the NFL, its teams and fans alike decide to either abide by the rules of the game or quit the uproar when they’re broken, shouting about the loss of integrity and good role models! Photo Credit: Andrew Campbell via Flickr.